Revolutionary air flow design allows the Fantasia natural wood charcoal to breathe, keeping it lit with out flipping or rotating. 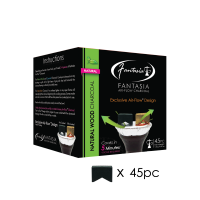 With Fantasia Air-Flow, the Natural Wood charcoal will always be lit unlike other coals which frequently get extinguished. Also with Air-Flow, you don't have to flip the charcoal at all compared to other coals which are high-maintenance coals. 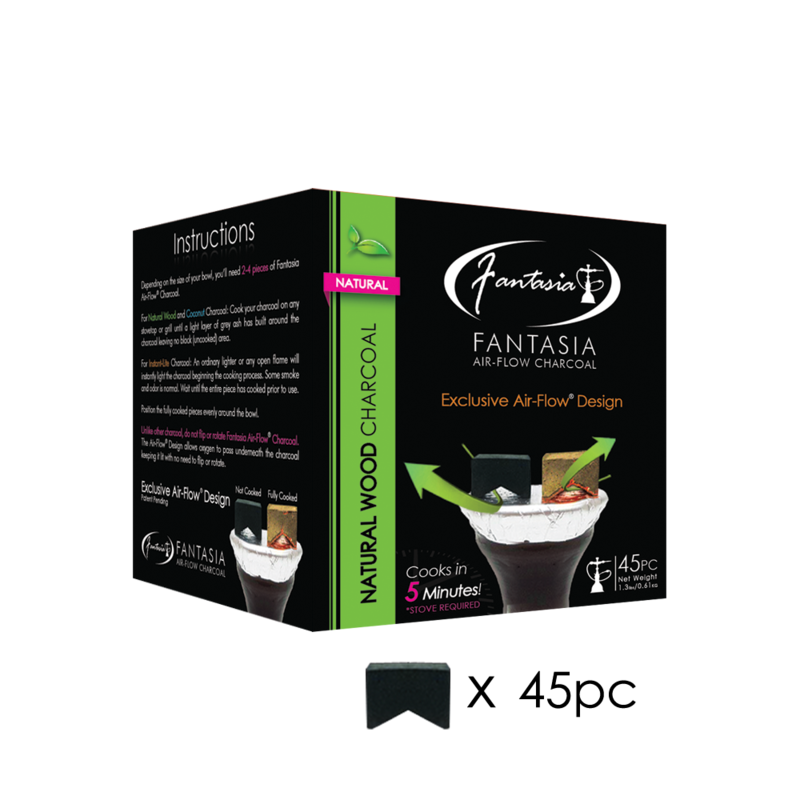 Lastly Fantasia's Air-Flow pathway keeps the coals from burning the bowl, but with other coals it will directly heat up your bowl and burn it away.